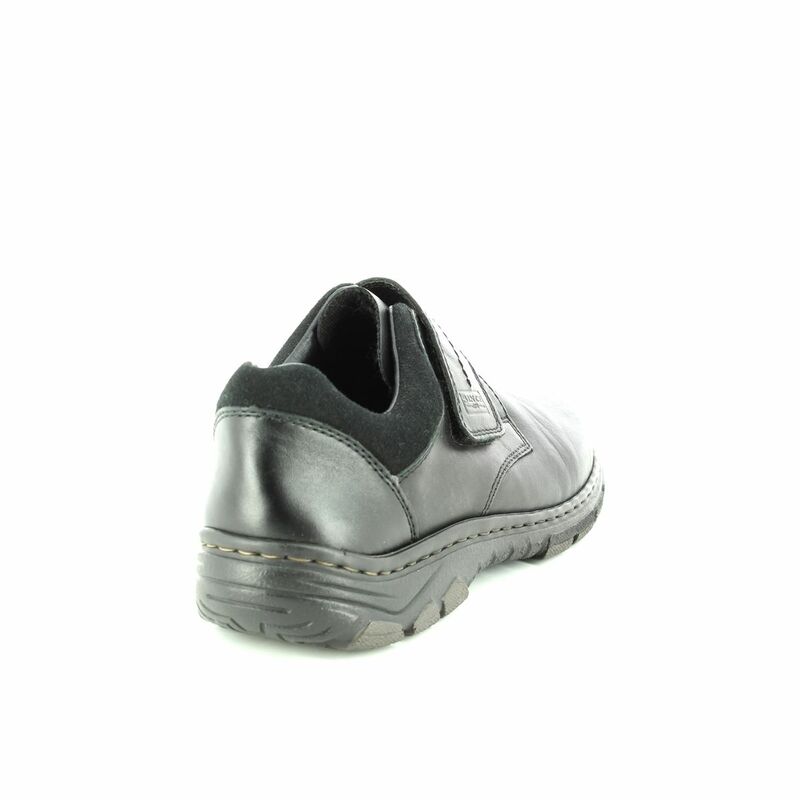 Rieker RAMVEL 85 (19962-00) men's black leather casual shoe with Velcro fastening embodies all the benefits of Rieker's current AntiStress Technology while maintaining a classic, clean style. 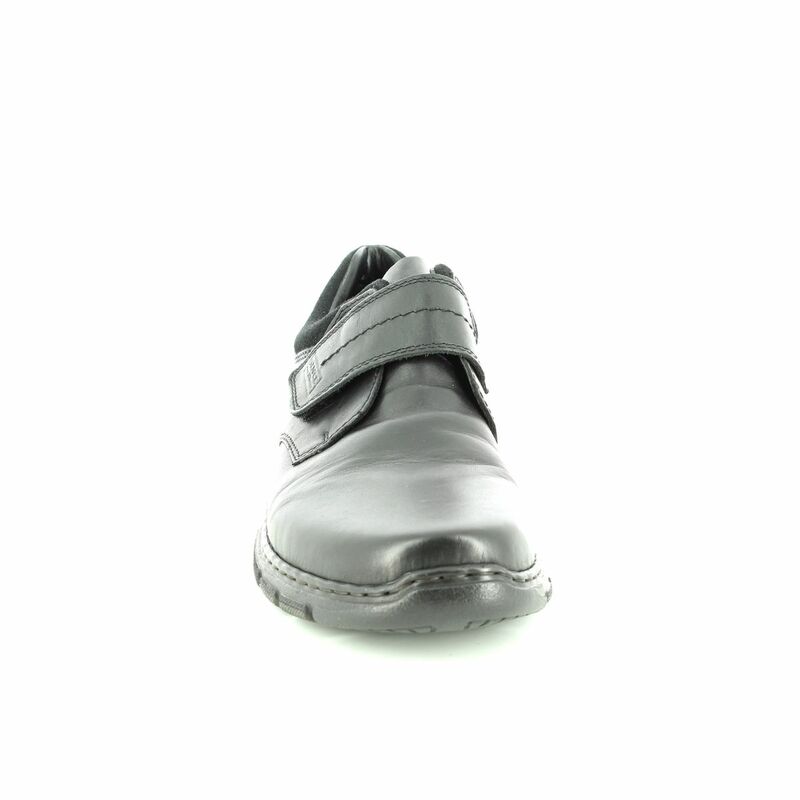 Black leather uppers are finished with a contrasting-coloured soft leather cuff, giving exceptional comfort and support, as well as accentuated stitching detail for that high-quality feeling. These men's slip-on shoes offer easy foot entry and the wide Velcro strap enclosure, embellished with a subtle insignia for texture, guarantees a snug fit every time. 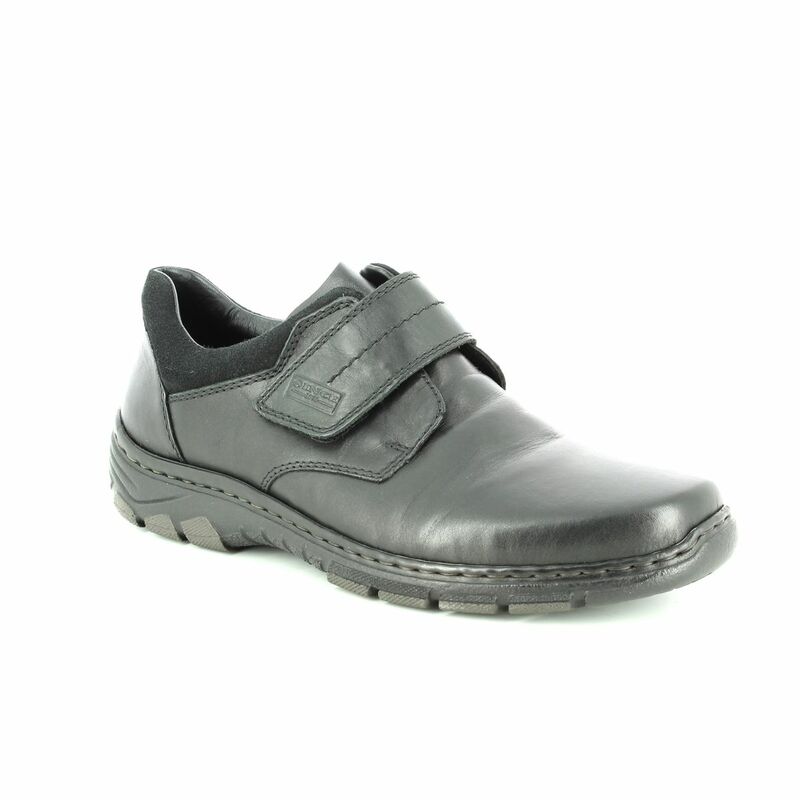 With a wide, square toe, your foot will have plenty of room for staying comfy. 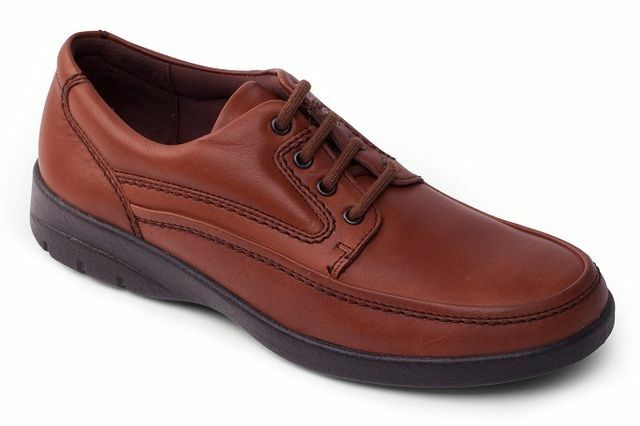 The chunky and ridged sole unit adds a hint of ruggedness to an otherwise quintessential casual men's shoe, giving you exceptional grip and traction. 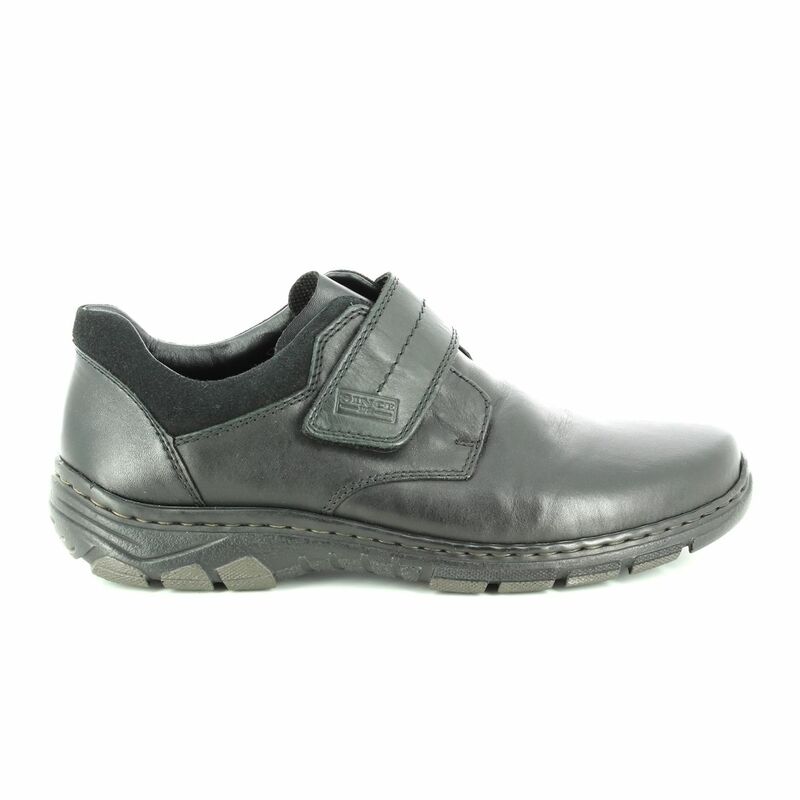 Rieker's Riricon sole completes the design, providing additional shock absorption and cushioning to your foot's most load-bearing areas. 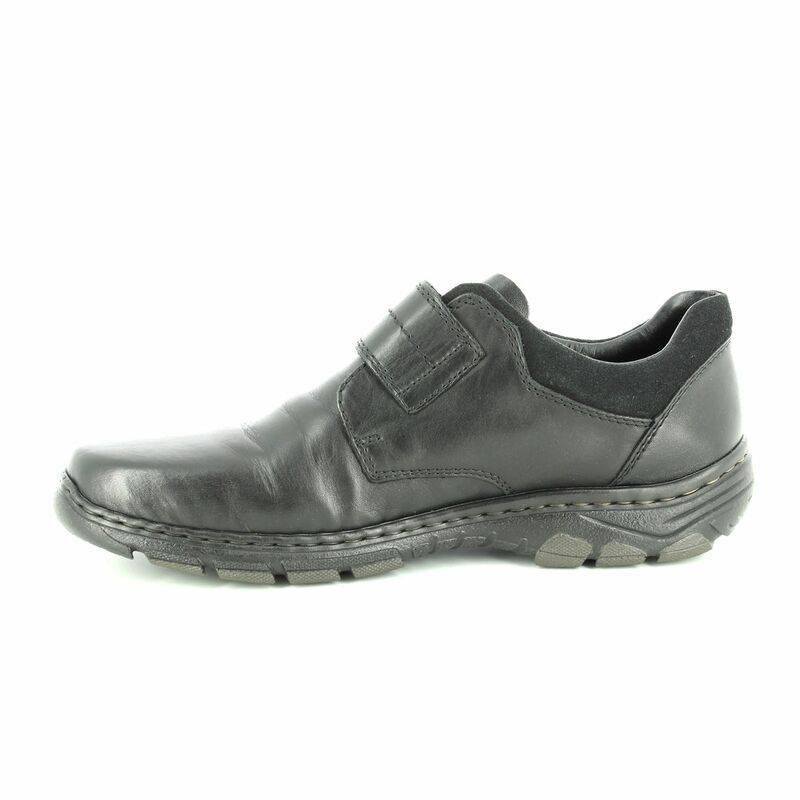 Perfect with chinos or jeans, these comfortable men's shoes will quickly become one of your daily-wear favourites. Also available in brown (19962-25). 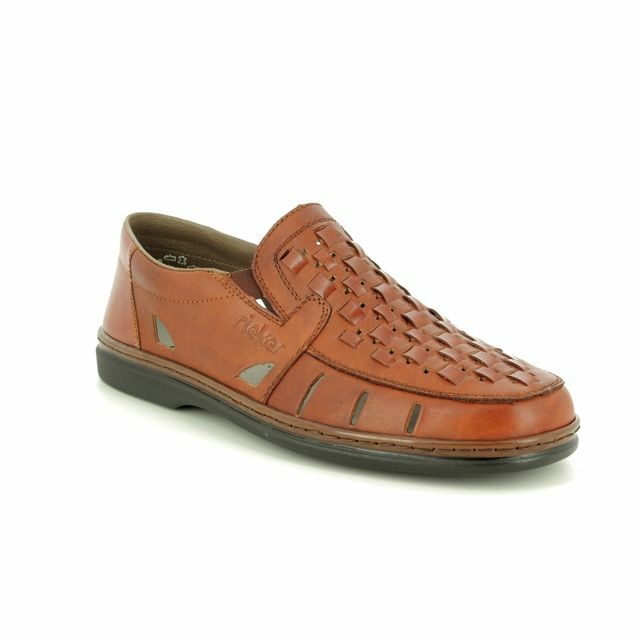 Begg Shoes are an official stockist of Rieker shoes and bags; view our full collection online or visit us in store.